Autumn… the year’s last, loveliest smile. If it weren’t for those pesky prematurely dark evenings… Autumn would be my favourite season by far. The excitement at dragging our lovely knitwear out from storage, discovering warming new recipes for the slow cooker, 100 denier tights and nature’s most vibrant display of colour. It all combines to fill me with that pre-Christmas thrill. For me, Autumn is the season of scents… crushed leaves underfoot, cordite in the air and hearty stews on the stove. Here’s my take on some of the nicest Autumn scents that money can buy. Brainchild of Adriana Carlucci, Ancienne Ambiance offer luxury goods inspired by Antiquity. When you burn an Ancienne Ambiance candle, you’re burning more than just a beautifully blended scent. Romana is like a portal to another age. Described as: A powder-like scent with sensual & comforting effects..particularly good when desiring a calm ambience. Comforting is exactly right… it’s soft and evocative. The amber tones are rich, earthy and overwhelmingly Autumnal. Perfect for warming up these dark evenings. The quality in this candle is evident with a flame which burned evenly throughout the many hours of enjoyment I’ve had thus far. The scent remains true and consistent from the first time you light it through to the moment it extinguishes itself. 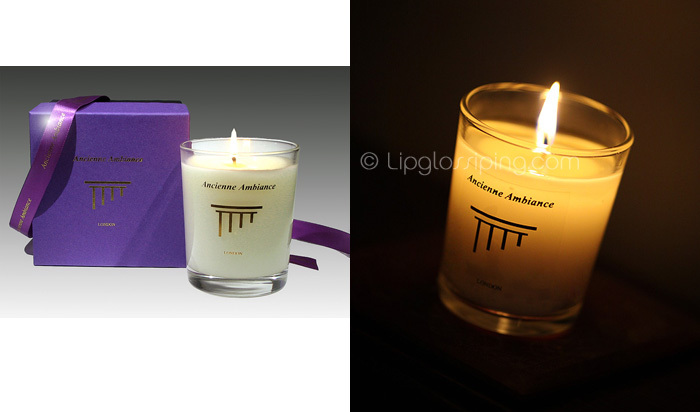 The Ancienne Ambiance Scented Candle Collection is available to buy online and instore at Fenwick of Bond Street. Croatian-inspired OCCO are a new to the UK, natural brand with a wide range of luxury products. The Motovun no3 range combines essences of Cypress Leaf, Labdanum, Oak, Cedar Leaf, Vetiver and Black Pepper, to create an earthy and woody selection. Oil of cypress tree fuses with gentle oat-based cleansers with anti-oxidant properties, to help restore elasticity and cleanse your skin. Natural extracts of pine and oak calm and centre your mood. 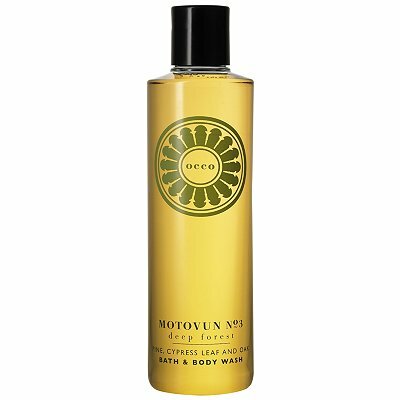 With an impressive list of active ingredients including: Pine Oil, Cypress Oil and Sage Oil Grape Extract, OCCO’s Motovun No3 promises to be a moisturising experience. Something that our skins definitely crave this time of year. All OCCO products contain a minimum of 95% natural ingredients and 100% natural fragrance blended from absolutes, extracts and oils to reveal subtle top, heart and base notes. All products are free from parabens, sulphates, petrochemicals and synthetic colours. The brand are set to open a central London boutique this Autumn but for now, you can purchase online and instore from Harrods and John Lewis. My latest Haus of Gloi order turned up yesterday morning and amongst it was the newly released Parkin Bubbling Scrub. Heavy in black treacle, ginger and roasted chestnuts… the initial ginger sweetness morphs into a richer, darker base that lingers on the skin for hours. Synonymous with Bonfire Night, I was delighted to scrub myself silly with this yesterday morning to mark the historic date. 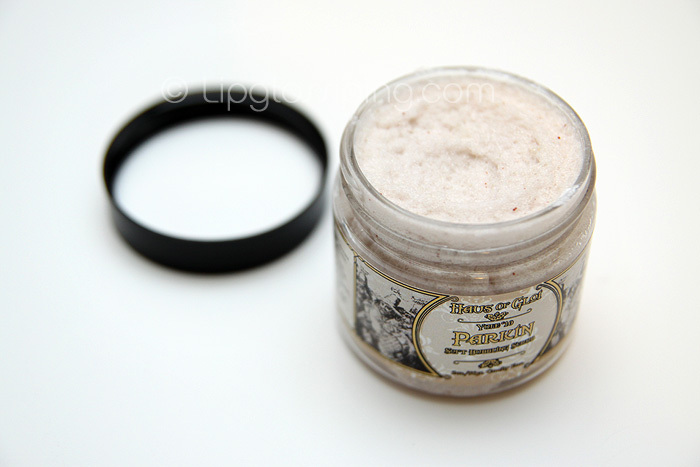 Parkin Bubbling Scrub is available online from Haus of Gloi (for a limited time). I wanted to include an out and out fragrance in this selection but I found myself struggling to choose. Sure, there are many amber and woody offerings…. even heady orientals that would fit with the theme but as I was exploring my stash of lovely things, I remembered Tuca Tuca. It’s a love it/hate it pick. Mr. L hates it, I love it. Not quite as much as I love some of LUSH’s other new fragrance offerings (I’m looking at you Lust and The Smell of Freedom) but by Jove it reminds me of Halloween! Tuca Tuca is an explosion in a Parma Violet Factory… and in this house, Parma Violets are king… or yano… queen… whatever, I ain’t discriminating. Even better if we can find the jumbo ones… am not fattist either. It’s playful, girly and comforting all at the same time. But most of all? It’s impish… mischievous and defiantly bold. A pied piper of fragrances. Tuca Tuca is available instore at LUSH or online. Neals Yard Remedies are new to cosmetics and I’m finding it hard to decide if this is a gloss, a balm or maybe just a bit of both! Advertised as a gloss, it does indeed leave a lovely (if subtle) sheen behind. It’s non sticky and wears just as well under a lipstick as it does over it! But the real beauty is in it’s scent! I have literally spent an entire car journey with the end stuffed up my nostril. Well, not *up* my nostril… that would just be dangerous, imagine if we had to brake? As a child, around this time of year… I used to make orange pomanders and use them to scent drawers and wardrobes around the house. The organic orange oil is an acute reminder of those days. It’s got enough tartness to it to steer it away from being sickly, but enough softness to stop it from smelling like a kitchen cleaner. Fragrance blenders… I have so much respect for the delicate balancing act you do! No parabens, no silicones and no carmine. Neals Yard Remedies offers the first collection to include Soil Association certified cosmetics. But I’m still all about that orange! Neals Yard Remedies Lip Gloss with Organic Orange Oil is available to buy instore and online. What are some of your loveliest Autumnal scents? And which season is your favourite? I LOVE Tuca Tuca. I bought the 7 scents for £7 and Imogen Rose and Tuca Tuca were my favourite two. I’m hoping the Mister will treat me to one or t’other for Christmas. He’s a bit slow on the uptake sometimes, so I’ll leave him plenty of hints….or steal his Visa. I too am in love with Tuca Tuca, I still need to review it went for Lust first. The Smell of the Weather Turning is also quite magical!